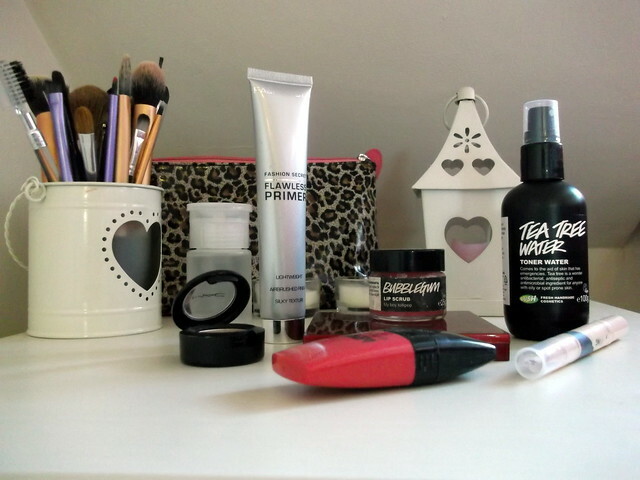 Mac Wedge, Mua Flawless Primer, Mua Create Your Own 'Blusher' Palette, Avon Mega Effects Mascara, Lush Bubblegum Lip Scrub, Lush Tea Tree Toner Water & Collection Illuminating Touch Concealer. Instead of the generic 'can't believe how fast this month has gone' opening sentence I'm going to start by saying 'there's only one more favourites post before Christmas'!! This is as scary as it is exciting mainly due to the assignments due in before Christmas :(! I never quite understood a toner before but this is amazing. I think the tea tree ingredient in this is doing wonders for my skin. The smell of it is so refreshing, it's perfect for using as a toner or for spraying during the day for a quick refresh. I will definitely be repurchasing this when it runs out. 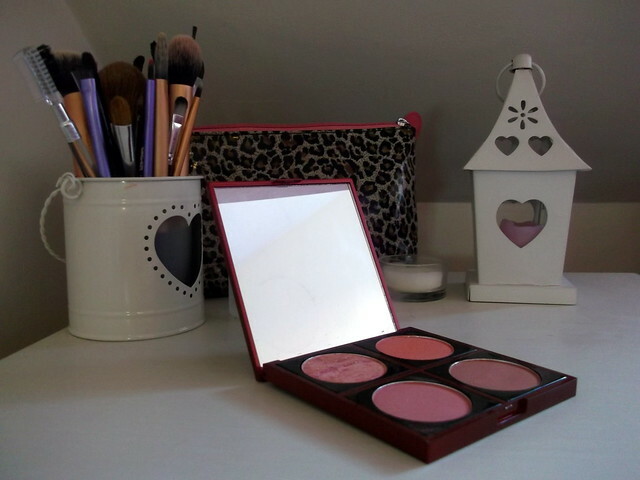 Who doesn't love blusher? Getting four beautiful shades in one palette is amazing, especially as I do so much travelling. The best thing about this is that you can chose your own shades meaning your palette is individual to you. My favourite shade is London and Cinnamon is lovely for Autumn Winter too. I've had this lip scrub for so long now but I just always forget about it. Now that the weathers getting colder my lips seem to dry out and get chapped so easily, so I use this every other morning before I apply my lipstick to exfoliate the lips and get rid of any dry skin. I also think it helps when applying your lipstick as it's a smoother base and I find my lipstick stays on longer too. This is something I featured in my October beauty haul and i've also done a review of it here so I won't go on about it but basically this is a absolute bargain of a primer. It smoothes the skin and creates a perfect base for your foundation to glide on and then cling too. Honestly, I cannot recommend this enough. 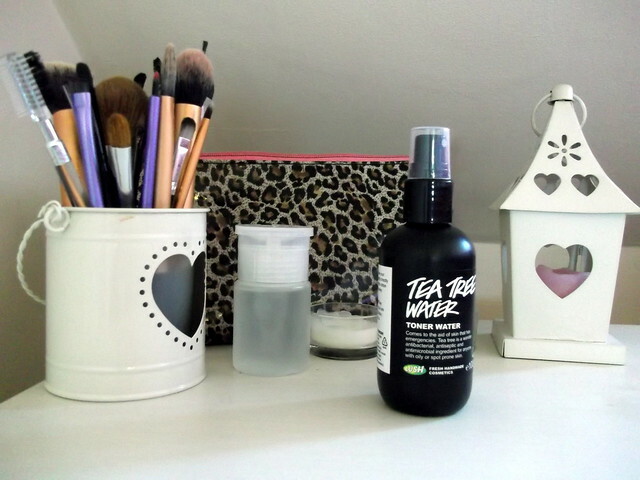 Again, this is another product i've reviewed before but I felt I needed to include this in my favourites as i've used it every day this month. It's the perfect size to fit in your handbag and it's so easy and simple to use yet it gives great results. I've had so many compliments on this. Finally, I thought i'd include these two products together as I use them together and think they work incredibly alongside each other. I've done a post on my eyebrow routine featuring these two products but i've been loving the look they give to my brows. The concealer works amazingly to define the brow shape whereas the eyeshadow perfectly shades and fills in the brows.